Italy will host the first edition of the European RoboCupJunior Championship. EURCJ 2018 will be held in Montesilvano (PE), from May 29th to June 1st, 2018. RoboCupJunior teams from several European countries will compete to become European Champions. 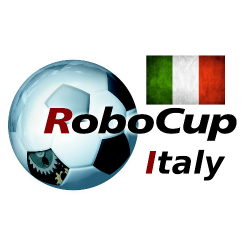 This site is managed by the Italian RoboCup Regional Committee and contains official information about RoboCup events organized in Italy and results of Italian teams at RoboCup competitions.